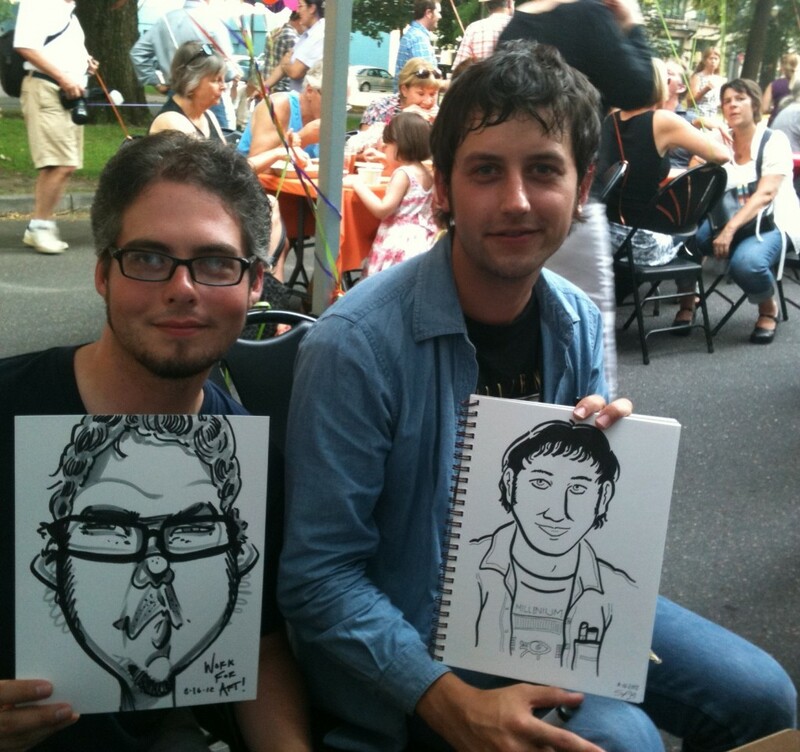 RACC was my introduction to Portland, so I wouldn’t dare miss their summer celebration. 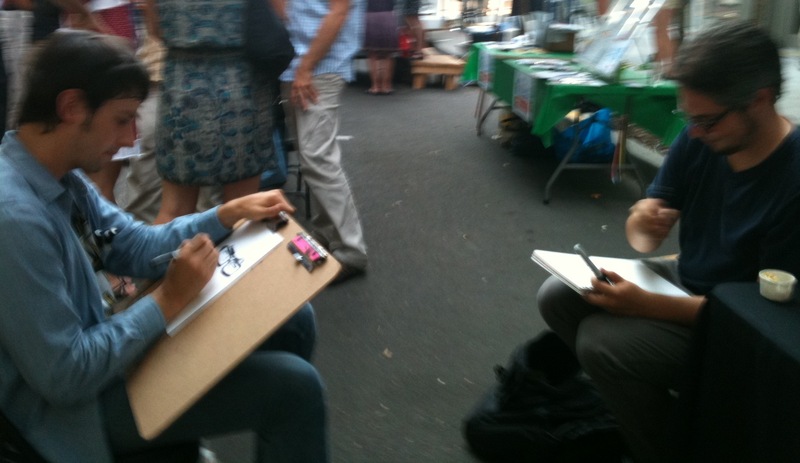 Imagine my surprise and delight when I saw another caricaturist there. The gentleman and I, one Barna Howard, had a bit of a dueling caricature session in-between pints of Ninkasi and bags of kettle corn. Thanks again Barna! Two man enter, one man leave! Two man enter, one man leave!